The full-colour A4 magazine Narrow Lines is published six times per year, typically with 36 or 40 pages per issue. Articles regularly include layout descriptions, modelling techniques, product reviews and prototype inspiration. The mailing includes a member’s newsletter with updates from the Association, show dates, lists of second-hand items, member's adverts etc. A sample copy may be downloaded by clicking on the cover picture to the right, or obtained by post. Write to the Membership Secretary at 43 Hornbeam Spring, KNEBWORTH, SG3 6AY, or email members@7mmnga.org.uk. An archive and information service (see this page) including the index of Narrow Lines articles on this website. 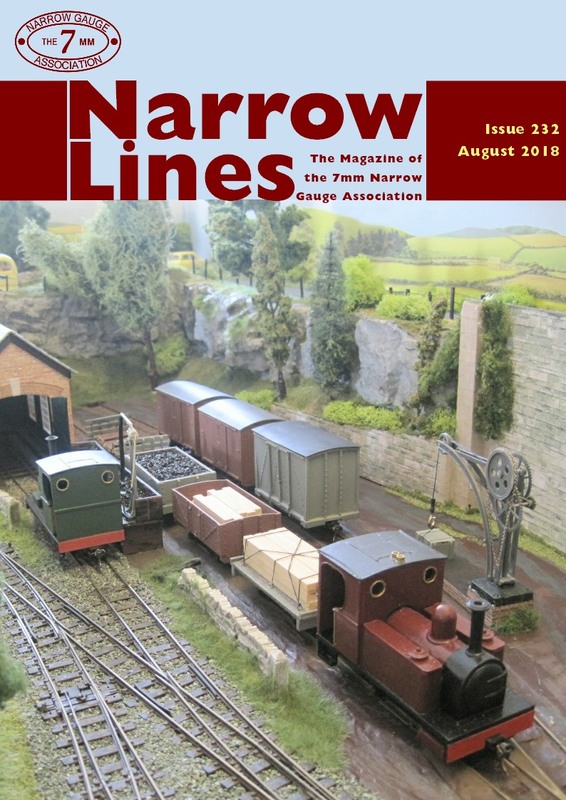 Virtually all back issues of Narrow Lines are available to download from the member's area. Members receive a 10% discount on all purchases from the Association sales departments. In addition, no postage & packing is charged to members for modelling goods and publications orders. Postal sales from the second-hand and On30 Depot sales departments are only available to members, as is the purchase of used items (see details here) by the second-hand sales department. Members can join one of the Association's Area Groups. For further details, see this page . A 'closed' Facebook Group is available to members. And all this for just £25 per year in the UK! For further details of rates outside the UK and to join, go to this page.